Cleo has been the proud recipient of the Joseph Sambrook Opera Scholarship with Melba Opera Trust since 2017. 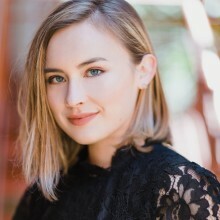 She holds a Bachelor of Music with Honours from the University of Melbourne, majoring in Performance, as well as taking language studies in French and Italian. Cleo received numerous scholarships during her tertiary studies, including Runner-Up of the Acclaim Awards Sleath Lowrey Scholarship, the Athenaeum Club Female Solo Vocalist Prize, the Muriel Cheek Scholarship, the Mona McCaughey Scholarship, the Florence Bradford Scholarship and is the joint winner of the Harold Fisher Memorial Opera Scholarship.